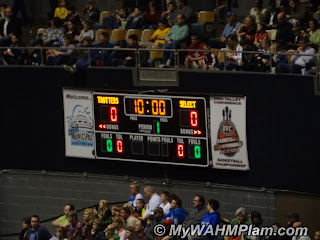 Do you remember being a kid and hearing the commercials for the famous Harlem Globetrotters? The very first note of their theme song would have us glued to the T.V. to see Curly and Meadowlark Lemon. Even though our parents knew how much we wanted to go see them, it never worked out. Fast forward a few decades and now I am the parent hearing that theme song again, but this time I know we are going. That is, if the Tornado warning, flash flood watch and flooding Nashville streets didn’t keep us from attending. Yep, 2 Saturdays’ ago our weather forecast said it wasn’t a good day to be out and about. But did that stop us or thousands of others from trying to get to downtown Nashville? No, no it did not. That’s us at our seats pre-game. A little wet: (okay, a lot wet) but still in good spirits. Actually, I’d like to give a quick shout out to all attendees of the Nashville, TN. 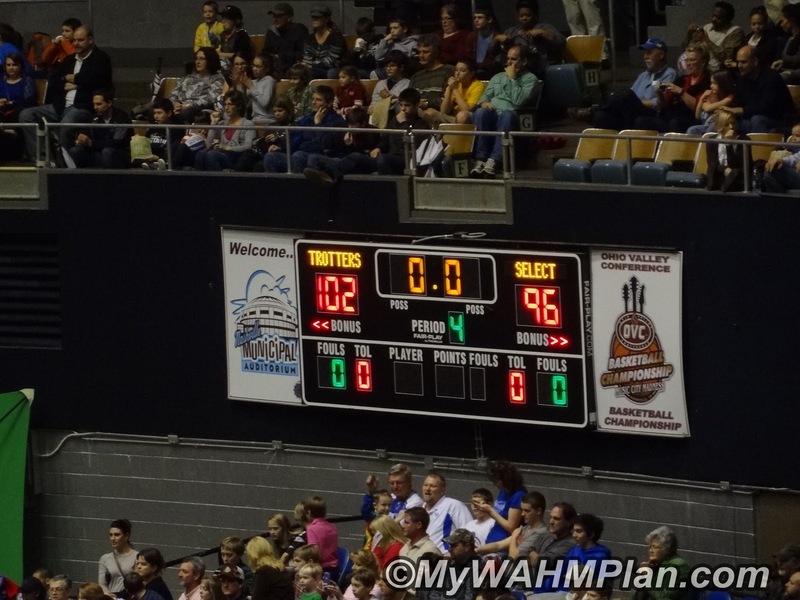 1/13/13 @ 2pm game. We had to deal with adverse weather conditions to put it mildly and yet I saw more random acts of kindness and more open friendliness than I normally do at our local supermarket. Here is the trophy the teams are playing for. And for the first time ever, fans got to have a say in the rules! That was one of the highlights of the game for us. The pre-game show was a lot of fun, but we were all were excited to see the game start. 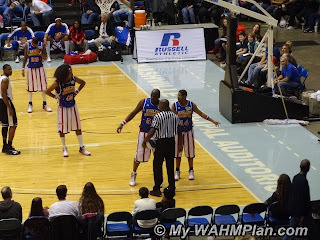 It didn’t take long for Big Easy and the other Globetrotters to start their antics. One of their favorites was arguing with the Ref. And having fun with the kids. We all spent the next 2 + hours laughing, pointing, dancing, shouting and enjoying the show. Somehow through all the game stops and sometimes campy fun, The Harlem Globetrotters won the game and took home the trophy. Thinking back on our day, I think all in attendance are winners because isn’t laughter, fun, family and community things that make life worth living? We won’t soon forget our special day of fun and we highly recommend this activity should you find yourself drawn to the T.V. screen by the familiar whistling theme song; Sweet Georgia Brown. Disclosure: I received 2 tickets courtesy of USFG to facilitate this review. All opinions are my own. Labels: family, fun day, Harlem Globetrotters, Nashville, review, TN. Heavens-I haven't heard mention of the Harlem Globe trotters in years!! Glad they are still around--My Dad used to love to watch them. And if the smile on your husband's(?) face is any indication--he was having a blast!! 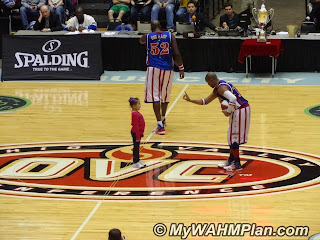 When I was a little girl my dad talked about taking me and my sisters to see a Harlem Globetrotters game and although we never got the opportunity to go, we still watched them on tv and they were SO fun to watch. Thanks for sharing! Looks like so much fun, I always wanted to go see them! How fun! I remember seeing them on tv when I was a little girl. I'd love to see them live. 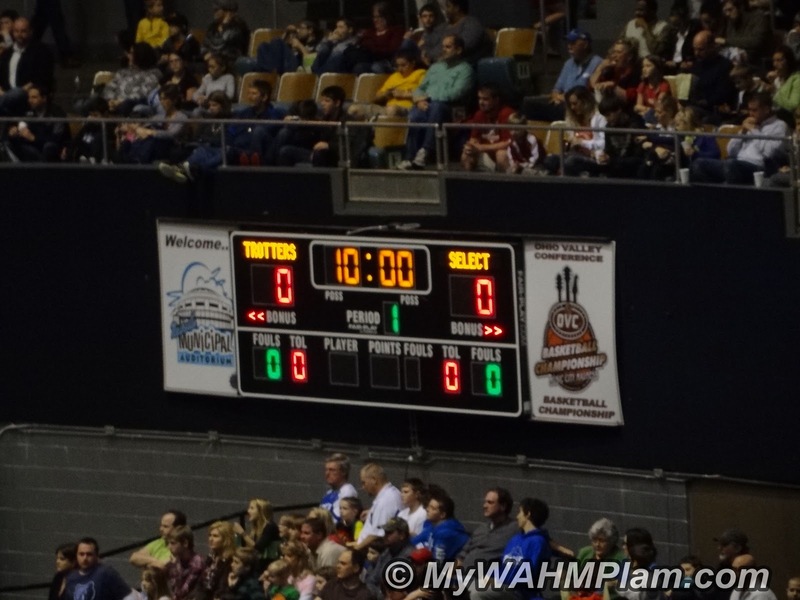 I love the Harlem Globe trotters.. Thank you for this wonderful post.. They used to come to our school when I was a little girl! It was so much fun and we all got little basketballs to take home. Looks like it was a fun time despite all the bad weather! I would always beg to go see them when they came to town..Never got to go,though. The kids haven't asked yet, but when they do, you can bet we will go! I remember seeing them when I was a kid. My boys would love this. they were in town back in Dec not sure they will be back soon. That looks like it was so much fun for you and your family. I remember my first basketball game. Nothing as exciting, but still. I have ALWAYS wanted to see these guys in action! We really did have a blast! Same here. 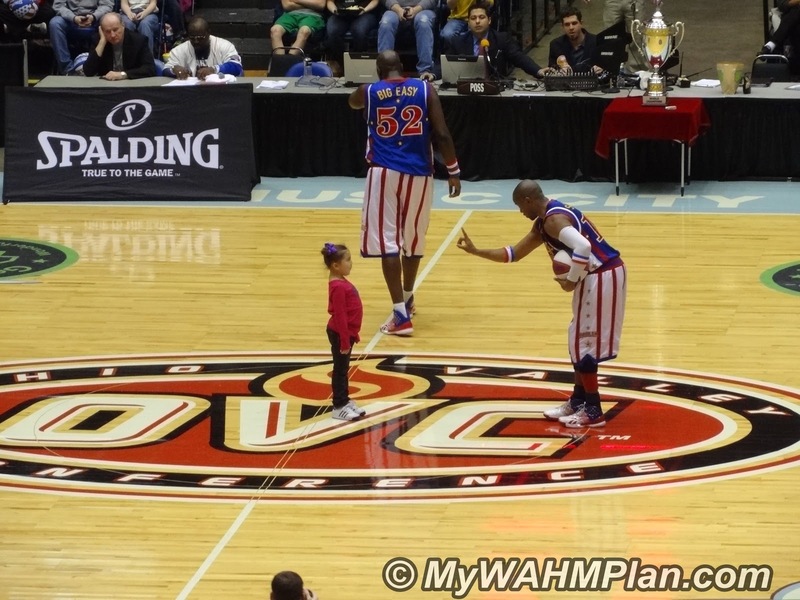 The Harlem Globetrotters were a really big deal when I was a kid and I can remember my Dad watching them too! It really was a great, family fun day. I hope you get an opportunity to see them. I remember watching them on TV too, but being there was way better. I am thankful for the opportunity to see them and share it with my family. I know they are touring all over the USA right now, so hopefully they will play near you and you can win tickets. I know you won't regret taking the kids to see them. We all enjoyed ourselves. We were surrounded by boys and I can attest to how much they got into the show. I hope they swing back by your area before their tour ends so you can share them with your boys. Check out their website to see if they are coming close to you and see if you can win tickets! Stopping by from Review Bloggers! We love them too! Thanks for stopping by. I love when a blogging buddy stops by to say Hi~ so thanks! We had such a fun day. It was a great memory maker for sure. I'm going to hop on over to see what you are up to on your blog.